CANVAS ONLY. 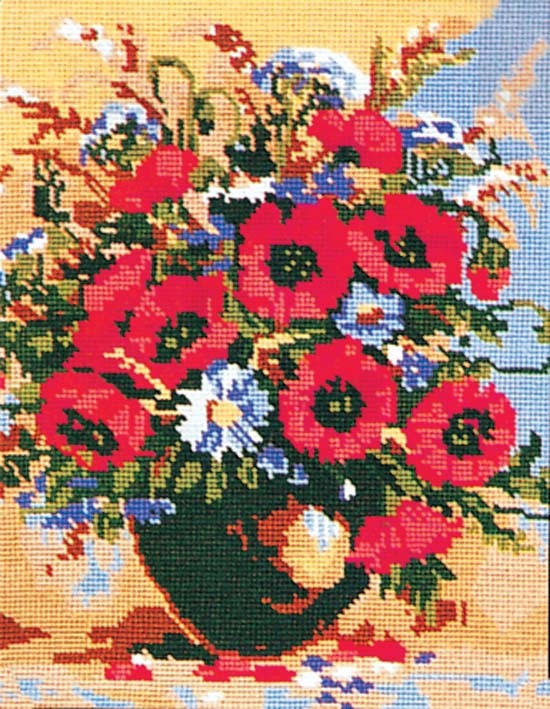 This tapestry canvas from Grafitec features a vase filled with brightly coloured poppy and cornflowers. Canvas supplied with a DMC thread list, including wool, soft cotton and stranded cotton options.